"For many of us, our most precious moments are associated with childhood & family life." 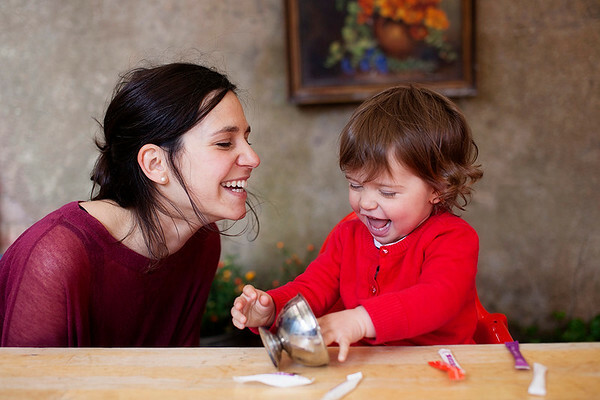 I am Nina Raingold, a photographer born and bred in North London, specialising in family photography and portraiture. I have had a passion for photography since childhood, nurtured by a creative mother who was always a keen and talented amateur photographer. From a young age, I developed an excitement for capturing the world around me, and experienced the importance of having our precious family memories carefully documented through beautiful photographs and albums. I have carried on and developed these skills and traditions with my own young family, with the same dedication and excitement and have also become passionate about passing them onto others. For many of us, our most precious moments are associated with childhood and family life. I have been working with photography in a professional capacity for many years, both as a Picture Editor (Getty Images & The Times), and as a photographer represented by Getty Images. I have shot in many genres, from editorial and travel photographs, to portraits, weddings and corporate events. Over the years, I have been published by a wide array of clients including The BBC, Time magazine, Newsweek, The Independent on Sunday, The British Heart Foundation, New York Magazine, Rough Guides and MTV. I have worked regularly with The Barbican and The Aldersgate Group. In 2012, I undertook further advanced technical training and graduated with a distinction in photography from The University of the Arts London. I subsequently decided to set-up Lazy Bee Photography, a company specialising in creative family-oriented photographs and portraiture. I draw on my diverse background as a documentary photographer to produce images that show families and friends interacting in a natural and relaxed manner. This approach allows me to capture the true flavor of special moments and events. For the sake of ease and informality, I tend to base family photo shoots in the comfort of your home or a nearby open space. I can also take studio photographs almost anywhere (including homes that have a little bit of space) using a pop-up mobile studio. Having a young family myself, I have a gentle and patient approach with babies and children, and will make the time and effort to develop a good rapport with clients of any age, making shoots fun and relaxed for everyone. At Lazy Bee, I also shoot weddings, birthday parties and special family anniversaries and events, using a consistently relaxed and unobtrusive approach to achieve high-quality documentary style photographs. I can shoot corporate events or create personal headshots. Photographs are provided to clients in online galleries or printed by a professional-level printing service on top quality papers. To top it all off, I make the most of my professional picture editing experience to create beautifully designed bespoke photo books and albums for clients. Lazy Bee Photography is based in North London (N4) and covers a wide area including Hackney, Islington, Camden, Haringey, Westminster and Brent. I am often willing to travel to other parts of London and even further afield for the right job. The mobile studio can be set up at your home, or at parties and other events. Please do not hesitate to get in contact: I will do my best to tailor a shoot to your requirements and budget. Special rates are available for bookings made by NCT groups or other mother-and-baby groups.